2018 will be our 30th Year at the Powder & Bulk Solids Show in Chicago. My brother Bill Callaghan and I would like to personally invite you to attend The 2018 Powder Show taking place April 24-26 at the Donald E. Stephens Convention Center in Rosemont, IL. We will be at Booth #3935 to discuss your mixing, blending and coating applications and share our expertise. As our guest, use promo code PBSGUEST when you register to save $100 off the price of a conference pass or receive a complimentary expo pass. 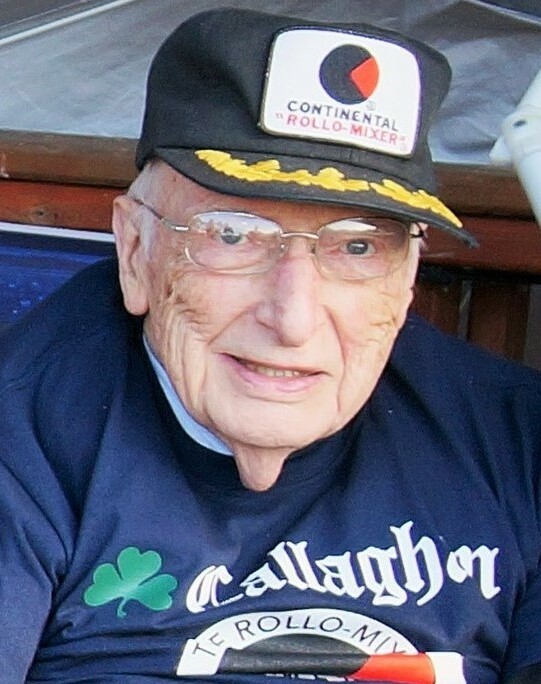 Last fall, our Dad and founding father, D. Coyne Callaghan moved on to heaven. We feel blessed to have had him for 95 years. He worked at his business for over 55 years. Many of you will remember his incredible sense of humor and fun on the speakerphone as he answered your calls. He was an incredible guy! Married to our Mom for 63 years. They had 11 kids, 39 grandchildren, and 16 great-grandchildren. 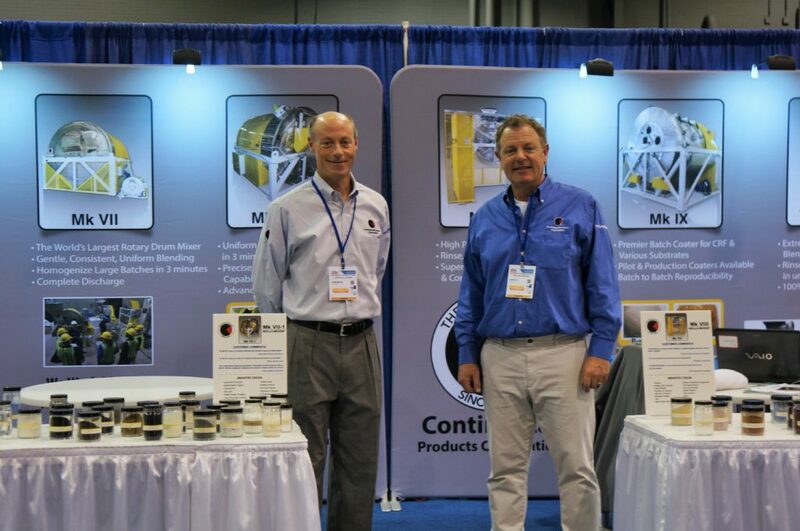 Many of his kids work with Continental Products Corp.
We are very proud to work directly with our customers and strive to continue his tradition of building relationships, product development and unrivaled dedication to our customers. 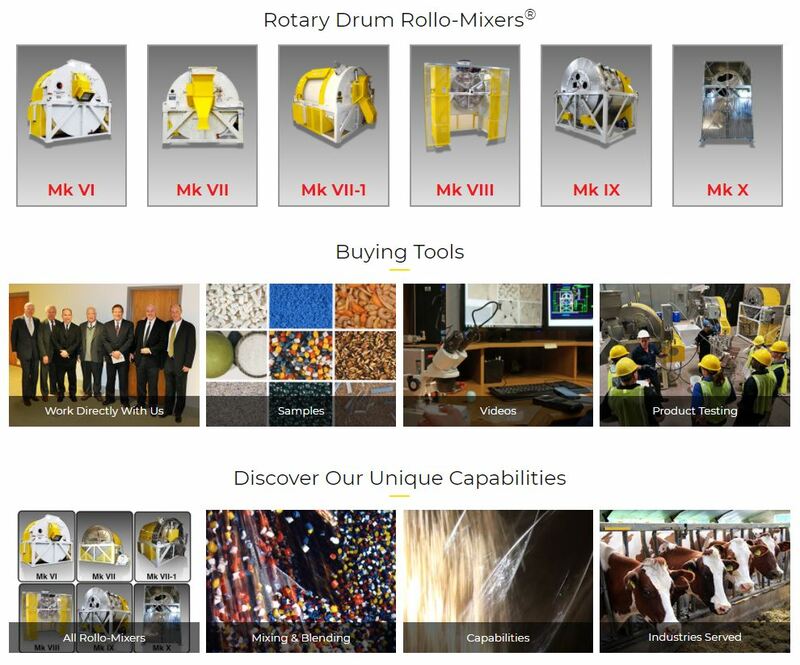 Our NEW Rollo-Mixer® website is an in-depth batch mixing and coating resource. It is filled with dozens of new photos and videos which showcase each individual Rollo-Mixer and their many capabilities with hundreds of applications. All of us at Continental would like to thank those of you who stopped in our booth to learn more about our Advanced Mixing, Blending & Coating Technology in Chicago. 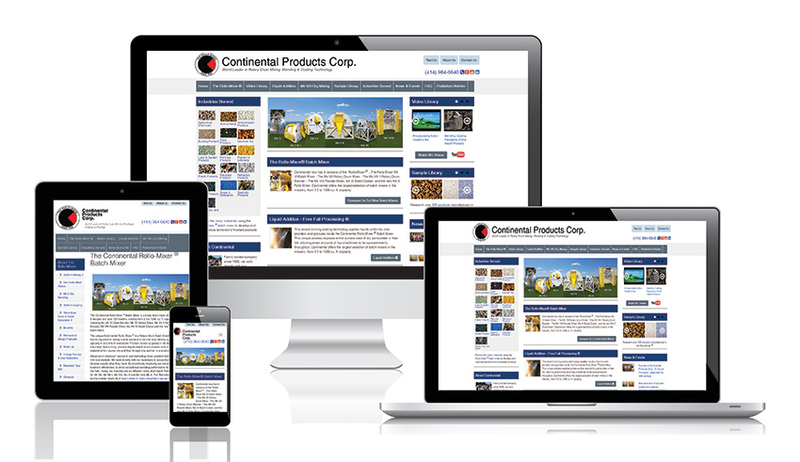 Continental Products Corp. has recently launched a new mobile friendly web site. www.continentalrollomixer.com will now respond and adapt according to the orientation of our visitor’s screen size and resolution. Now, visitors can view our website on all platforms, including smart-phones, tablets, and desktop computers. From there, you can connect to our LinkedIn company page, Google + page, or our YouTube channel – which has over 60,000 views. See over 300 photo samples of products made in the Rollo-Mixer® from over 15 different industries. Or watch over 60 HD Videosfrom customer interviews to complete batch cycles from your favorite device. 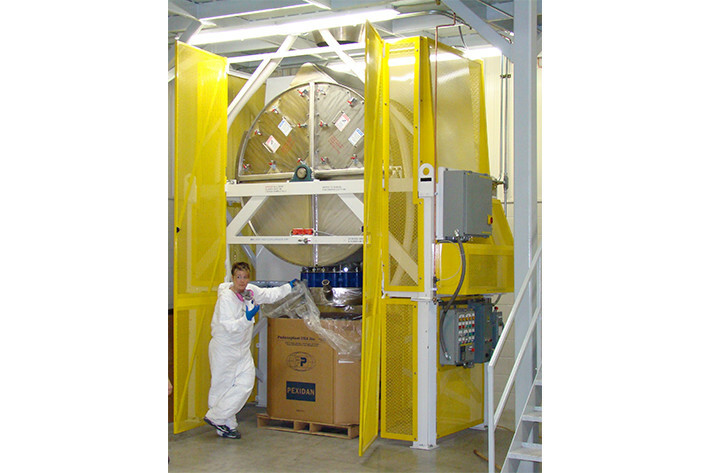 The newly revised site is a comprehensive, multimedia resource from numerous types of blending and coating applications we have worked with for over 50 years. 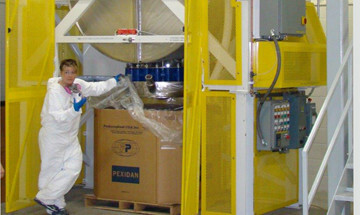 Thank you for visiting the Word Leader in Rotary Drum Mixing, Blending and Coating Technology. We look forward to hearing from you! 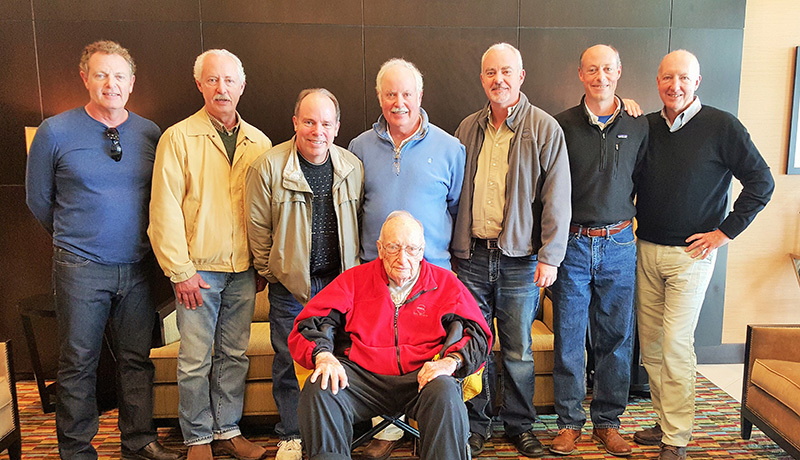 October 27, 2015 – Founder of Continental Products Corp., D. Coyne Callaghan, celebrated his 94th birthday with his family on October 27th 2015. This picture shows him seated in front of his 7 sons. From left to right is Bill, Coyne Jr, Hayes, Tom, Jim, John and Marty. He started Continental Products Corp. in 1960 and has been designing, manufacturing, and innovating the Rollo-Mixer® with his family ever since. Today, the Rollo-Mixer® is available in six distinct designs and is known to be the premier rotary drum batch mixer in many industries it serves. 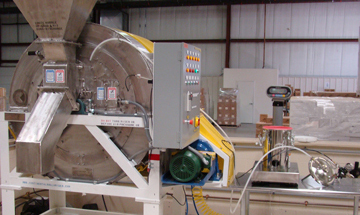 The Rollo-Mixer Mk 8 rotary batch mixer is touted by its company, Continental Products Corp. (Milwaukee, WI), as a mixer superior in uniformity, cleanout, and overall efficiency compared to other mixers typically used in the dietary supplement and contract manufacturing industries. 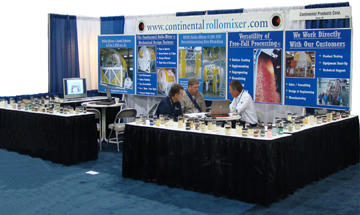 Continental Products Corporation, a World leader in uniform mixing, dry blending and coating technology, and manufacturers of the Rollo-Mixer Â® batch mixer; will be exhibiting in Booth # 4040 at the 2012 PTXi Show in Chicago May 8th thru May 10th. We have been exhibiting the Rollo-Mixers at this show for 24 years. Giving people a chance to see videos and data not found on line.Â Our booth will feature over 175 samples of products accurately blended and evenly coated in the Rollo-Mixer, from over 15 business markets. Creating distinctive teas is challenging, yet essential to private label success. Hand blending tea with dried fruit, flowers and flavors is a long-practiced art undertaken by master blenders who each leave an indelible idiosyncratic mark. It can take years of experiments to achieve the perfect blend of tea, flavor enhancements and embellishments. And that’s the easy part. It is only then you discover the challenges of scaling these qualities with the consistency customer’s demand. The ability to efficiently mix and coat granular and bulk solid products is a common challenge across many process industries. The secret of efficient mixing is the ability to divide and combine ingredients into a uniform blend with 100% particle distribution. In this presentation, attendees will learn about the benefits of solids processing using a product that has revolutionized many mixing, blending, and surface treating applications. We invite you attend a 21st Century e-Event at GlobalSpec’s Industrial Processing Virtual Trade Show. Continental Products Corp. has been asked to showcase 50 years of experience mixing, blending & coating fine powders with the Rollo-Mixer. Bill Callaghan discusses the benefits of the Continental Rollo-Mixer® batch mixer and showcases Continental’s mixing, blending and coating technology. Continental recently brought a 5 cu ft Rollo-Mixer to Watt Ag in Rockford, IL. Those attending the demonstration saw the mix action through Plexiglas panels on the back of the mixer. Making it easy to see how our mixer gently folds, divides and combines the ingredients in 2-3 minutes. The Continental Rollo-Mixer® Mk VIII batch mixer is an exciting new addition to Continental’s line of rotary drum mixing technology. The Mk 8 batch mixer is designed for uniformly blending dry particulates within 2 to 3 minutes. This revolutionary design is unique to the dry solids processing industry. The Mk 8 batch mixer is ideal for Food, Specialty Products and high purity batch mixing applications, where cleanout and easy access are critical for quick product change over between batches.